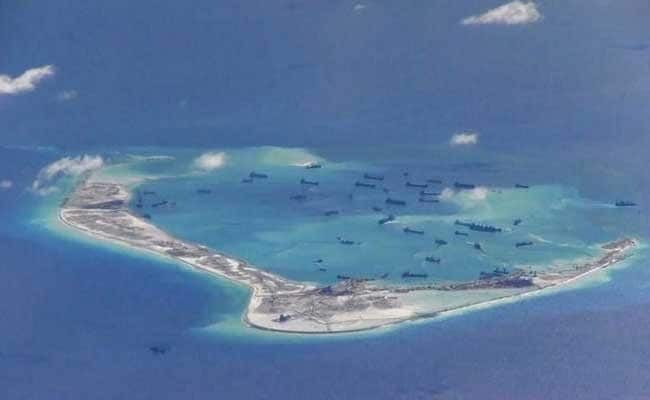 Washington: Three of Beijing's outposts on contested South China Sea reefs are close to being ready for the deployment of military assets including mobile missile launchers, a US think tank reported Thursday. Analysing satellite photographs, the Asia Maritime Transparency Initiative said Beijing's Fiery Cross Reef base in the Spratly Islands now has 12 hardened shelters, four more than seen in February, with retractable roofs that can house missile launchers. And new construction of "very large underground structures, four at each reef, is underway, which AMTI said a likely designed to house munitions and other essential goods. "Major construction of military and dual-use infrastructure on the 'Big 3' ... is wrapping up, with the naval, air, radar and defensive facilities that AMTI has tracked for nearly two years largely complete," the group said. "Beijing can now deploy military assets, including combat aircraft and mobile missile launchers to the Spratly Islands at any time." In December AMTI reported that large anti-aircraft guns and other defense systems had been installed ont he islands. "We oppose China's artificial island construction and their militarization that features in international waters," US Secretary of State Rex Tillerson said in Sydney in early June.